AayurMed cultivates, sources, supplies and export herbs and spices for last 30 years across the globe. Our Caraway Seed herbs and spices are used for various medical and cosmetics purpose. 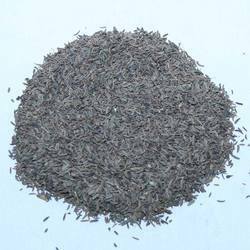 Caraway Seeds is brown in colour has pleasant odour is with sharp taste. Seeds are hard and sharp to touch. We are amongst the reliable companies in the market and are into offering a premium quality range of Caraway Seeds to our clients. These Caraway Seeds are praised by our clients due to their features like sweet and peppery aroma. In addition, offered products are widely used in soups, bread, pickles and also teas. 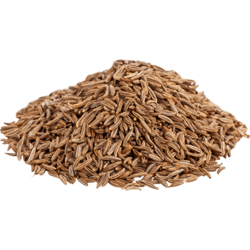 Caraway seed is the chief spice features in savory dishes. Strongly aromatic caraway is a member of parsley or Umbelliferae family, the family that also includes commonly known herbs and spices such as dill, anise, fennel, cumin, etc. Scientific name of caraway is Carum carvi. Caraway seed is a fairly mineral-rich spice. In the graph at right we display the mineral content in 10 grams of caraway seed, about 1 1/2 tablespoons. That large serving of caraway seed supplies 9% of the daily value of iron (based on a 2, 000 calorie diet), 7% of calcium, and 6% of magnesium. As a decoction for digestive disorders and for relieving flatulance. Botanical Name : Carum Carvi L.
It is cultivated as a cold season crop in the hills of Kashmir and Kumaon. Hindi Name Siya zira or Shia zira. SRB Commodities & Traders Pvt. Ltd.
We supply an exclusive range of Carom Seeds which includes whole caraway seeds, spices caraway seeds, dried caraway seeds etc. The procurement of the Carom Seeds is done from the trusted vendors under the strict supervision of quality control team. In spite of the best quality, the price range is kept quite reasonable. use : stomachic and carminative. seeds are also colling in effect.